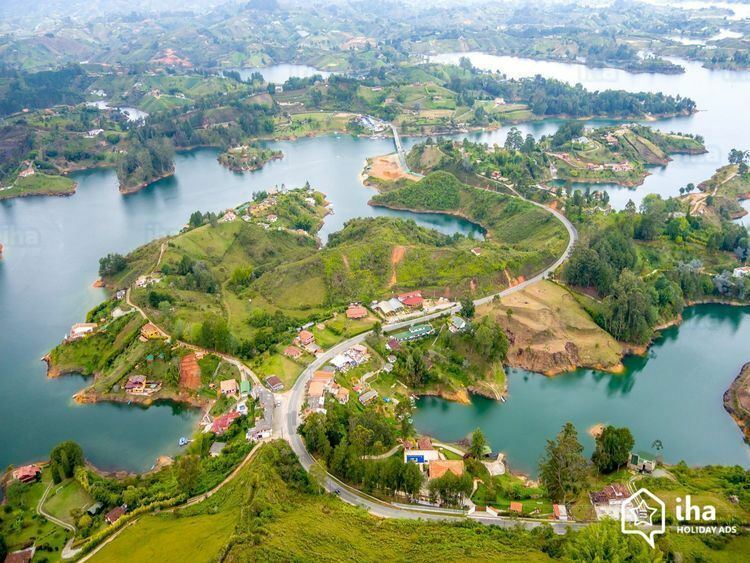 The Department of Antioquia ([anˈtjokja]) is one of the 32 departments of Colombia, located in the central northwestern part of Colombia with a narrow section that borders the Caribbean Sea. 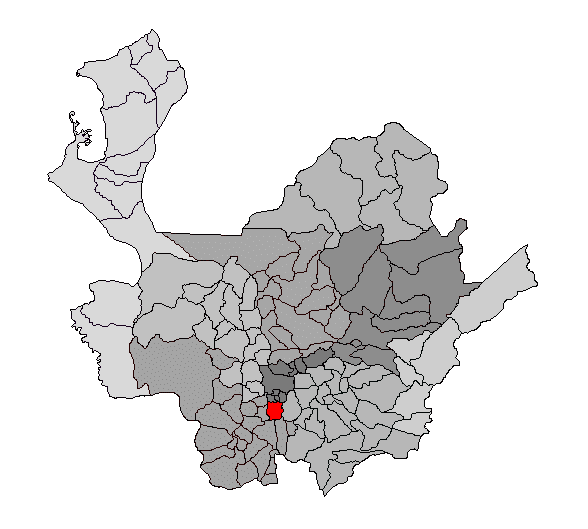 Most of its territory is mountainous with some valleys, much of which is part of the Andes mountain range. Antioquia has been part of many territorial divisions of former countries created over the present day territory of Colombia, and prior to the Colombian Constitution of 1886, Antioquia State had its own sovereign government. Medellín is Antioquia's capital city, and the second largest city in the country. 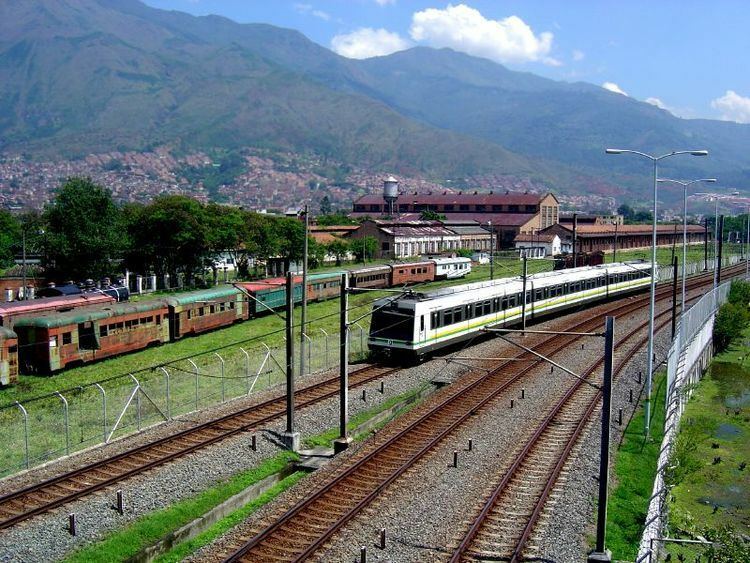 Other important towns are Santa Fe de Antioquia, the old capital located on the Cauca, and Puerto Berrío on the Magdalena. Antioquia is the 6th largest Department of Colombia. It is predominantly mountainous, crossed by the Cordillera Central and the Cordillera Occidental of the Andes. The Cordillera Central, further divides to form the Aburrá valley, in which the capital Medellín is located. The Cordillera Central forms the plateaus of Santa Rosa de Osos and Rionegro. It is estimated, for example, for smaller Antioquia, a region where hundreds of Spaniards arrived, of which a good portion were Basque, some limited aspects of the culture and traditions were brought by Basque settlers, though without any mention of their particular language, thus tracking the use of Basque in the current Antioquia and Colombia. However this is partly due to the Basque language always having been an outcast, which apparently left no written evidence in Antioquia. In this regard, it is hardly likely that the Spanish crown - in order to maintain the monopoly of overseas companies, to maintain policies that restrict citizens not belonging to the then Spanish rule - would allow its colonies to speak languages other than Spanish. Those Basques invited to participate in the colonization companies, and foreigners in general, had to learn the official language, i.e., Spanish, hence the dominance of Spanish. Despite these restrictions, it is still possible to trace the history of Colombia's present references to the ancient language of the Basques. A reference that has very ancient use of Euskara in Colombian territory, occurred in relation to Lope de Aguirre, a native of Gipuzkoa nicknamed "The Madman". Aguirre's rebellion defied the Spanish empire, carrying out acts against the subjects of the Spanish crown. Pedro de Ursúa, a Navarrese faithful to the Spanish king, who was also the founder of Pamplona in eastern Colombia, said that he could persuade the soldiers to be told of Aguirre's revolt, if they spoke in Euskera. After the Spanish Civil War, many Basque families migrated to Colombia. A number of these families were Basque-speakers and wrote works in Euskera, and likewise, translated from Spanish to Basque literary works of Colombian authors.